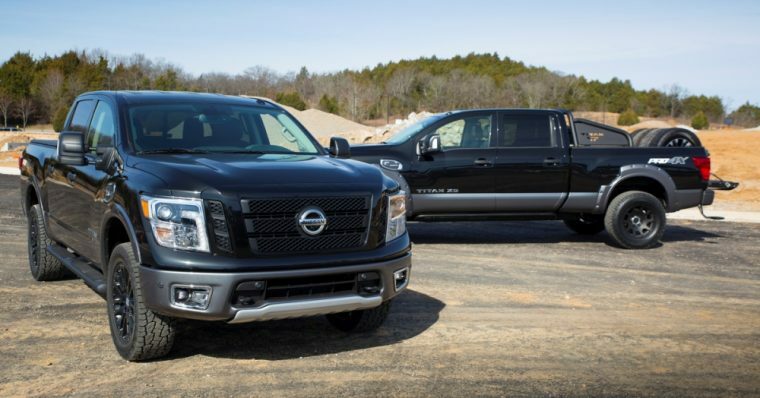 Big, powerful, and proficient, the modified Nissan trucks on display at the Chicago Auto Show have all of the ingredients you need to make a truck enthusiast’s jaw drop. The first of those trucks is the 2017 Titan XD Pro-4X. This modified Titan XD features a vast assortment of Nissan Genuine components, including a rear bumper guard, bed divider, tailgate guard, bed extender, and polished exhaust tip from the Platinum Edition. In addition, the Titan XD Pro-4X comes equipped with an aftermarket suspension system, tires, wheels, fender flares, sport bar, rock rail, front bumper, and front grille with camera mount and light bars. Powered by a Cummins 5.0-liter turbo-diesel engine, this new Titan XD display vehicle is good for 310 horsepower and 555 lb-ft of torque. That robust engine comes paired with a heavy-duty six-speed Aisin transmission, sending power to all four wheels. 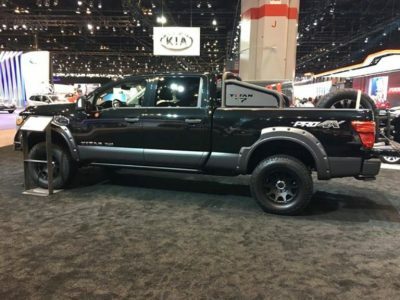 The other customized Nissan truck being displayed in Chicago is the Super Black 2017 Titan PRO-4X project truck. This one-off truck is meant to showcase the Titan’s high-level of customization, coming with features like a prototype suspension kit and exhaust system, as well as Nissan Genuine Accessory 20-inch wheels and LED fog lights. The project truck differentiates itself from the HD model thanks to a gasoline-powered 5.6-liter V8 engine good for 390 horsepower. The project truck also comes with a seven-speed automatic gearbox and Trifecta tonneau cover.